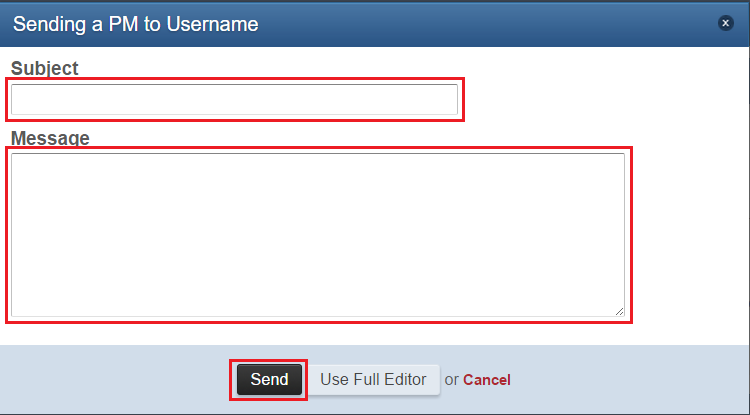 To send private messages, follow the steps below. Click on the inbox located at the top right corner of the screen. Select "Compose New" from the menu. "Recipient's Name": Add the member you wish to send the private message to. "Other Recipients": You may add up to 5 members who will receive the private message. "Send to others as": Choose between "Invitation" and "Copy". If you choose "Invitation", the member(s) you added in "Other Recipients" will be able to reply to the conversation. If you choose "Copy", the member(s) will just receive a copy of the message, but not be able to reply to it. "Message Subject": Enter the subject of the message. The subject will be shown first in the inbox. "Message": Write your message to the member(s). "Attach Files": Here you can upload pictures or files to the message. Click on "Browse..." to find and select a picture located on your device. Then click on "Attach This File" to upload it to the message. If you want to remove the file you added, click on "Clear Selection". More information about how to upload and/or insert pictures to your posts can be found here. 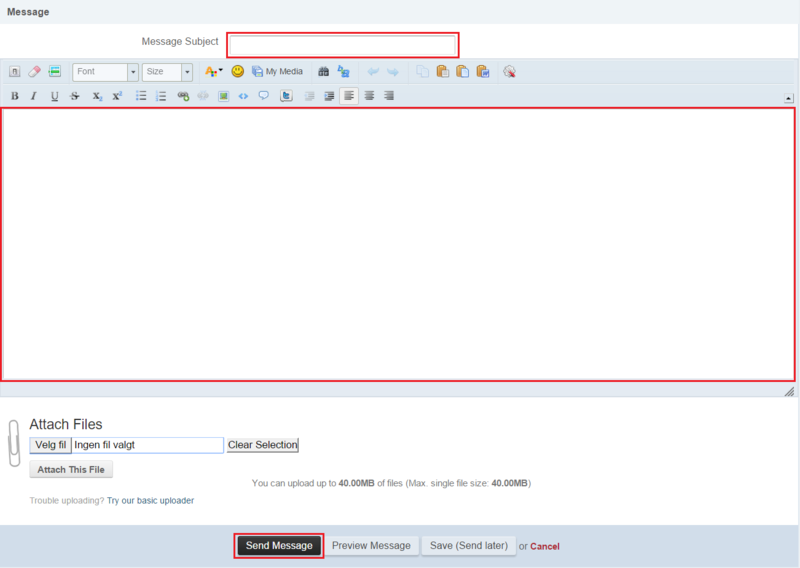 "Send Message": When you have done this, you can send your message. There is another way to send private messages as well. 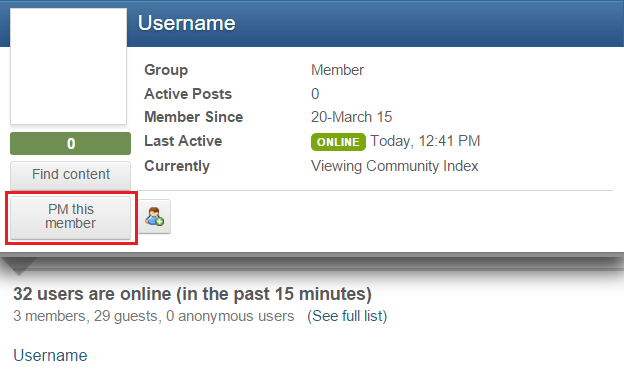 You can visit members' profiles and select "PM this member". "Subject": Enter the subject of the message. The subject will be shown first in the inbox. "Message": Write your message to the member. "Send": When you have done this, you can send your message. If you want more features, select "Use Full Editor".